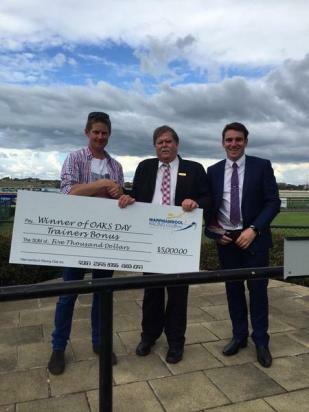 Jarrod was lucky enough to win the $5,000 Trainer's Bonus provided by the Warrnambool Racing Club for the most points gained for his runners on Oaks Day (at Warrnambool Races). With two winners, a second and a third, he just scraped in. Many thanks to Warrnambool Racing Club for this incentive.